Mohamed Osman Mohamud, 19, a Somali-born U.S. citizen, was arrested 18 minutes before the tree lighting was to occur. 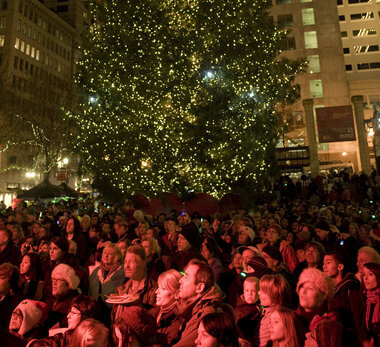 Oregon officials thwarted a bomb plot at a Christmas tree lighting ceremony in Oregon today. Law enforcement agencies have thwarted an attempt to blow up a car bomb at an annual Christmas tree lighting ceremony in Portland, Oregon, officials said early Saturday. The Justice Department identified the chief suspect as 19-year-old Mohamed Osman Mohamud of the town of Corvallis, saying he was a naturalized US citizen of Somali descent. According to a criminal complaint, Mohamud was arrested by the Federal Bureau of Investigation and Portland police at approximately 5:40 pm Friday (0040 GMT Saturday) after he attempted to detonate what he believed to be an explosives-laden van that was parked near the tree lighting ceremony in Portland’s Pioneer Courthouse Square. The Portland Tribune has more on the attempted bombing. A 19-year-old Corvallis man was arrested Friday afternoon on charges that he planned to set off a car bomb during Portland’s Christmas tree lighting ceremony in Pioneer Courthouse Square. 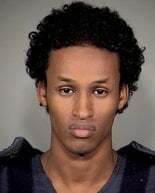 The U.S. Department of Justice said Mohamed Osman Mohamud, a naturalized U.S. citizen from Somalia was taken into custody at about 5:40 p.m. by the FBI and Portland police officers on charges of attempting to use a weapon of mass destruction (explosives) in a plot to detonate a vehicle bomb at the ceremony. His arrest was part of a long-term undercover operation, during which Mohamud had been watched closely for months as his alleged bomb plot developed. The explosive device in the car was inert and the public was never in danger. Mohamud will be arraigned Monday in Portland’s federal court. If convicted, he could face a maximum sentence of life in prison and a $250,000 fine. “This defendant’s chilling determination is a stark reminder that there are people — even here in Oregon — who are determined to kill Americans,” said Dwight C. Holton, Oregon’s U.S. attorney.